International days of celebration are an important way for companies to generate greater awareness of their brands and bump up sales – but what about those occasions that hit a little too close to home? Marketing must be more mindful, says Melita Kiely. Hardly a day goes by when a press release doesn’t ping into my inbox regarding a ‘national’ or ‘international’ day or month of celebration, from incredibly important global observations such as World Mental Health Day and Black History Month, to the more fun diary dates such as World Book Day, and the downright bizarre likes of National Pizza Day and No Trousers on the Tube Day (that’s a real, annual day, you know). The spirits industry also boasts its fair share of national and international celebrations. From World Margarita Day and World Cocktail Day to World Whisky Day and National Tequila Day, there is no shortage of dates dedicated to toasting your favourite tipples. Earlier this month, attention turned to International Women’s Day. Press releases came thick and fast in the lead-up to 8 March as brands fought tooth and nail to prove they were indeed pro-women and pro-equality. The effort to improve gender equality has been ramped up over the last year, making this day more significant than ever. But wouldn’t it be great to see this level of female celebration, and empowerment, all-year round? 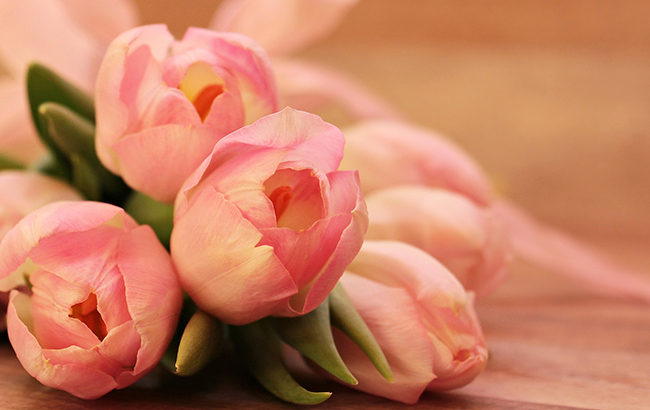 But 8 March has been and gone, and focus for many brands has now shifted to the UK’s upcoming Mother’s Day on Sunday, 31 March. Press releases suggesting gift ideas, mother-inspired cocktail recipes, Champagne-fuelled afternoon teas and gift packs have inundated the editorial team as brands clamber over one another to secure coverage. With a simple click of a button, anyone not wanting to be reminded of Mother’s Day could very easily avoid the bombardment of marketing materials. This is something I’ve seen discussed widely on social media recently – notably with comments from bloggers who have publicly spoken about losing their mothers, only to be approached by PRs to plug their Mother’s Day agendas. Surely a little research could go a long way to avoid causing them unnecessary distress. The spirits world is unquestionably bettering itself every day. Brands and businesses have made substantial improvements to create an environmentally conscious industry – one that’s been massively welcome and is imperative to our future. Nevertheless, it’s clear that more still needs to be done to create a wholly compassionate drinks industry, with human empathy deemed just as important as being eco-friendly. This includes everything from the eradication of gendered spirits, workplace harassment, and an equal ratio of male to female employees (including at senior levels) – to the seemingly simple act of taking the time to consider the feelings of the person on the receiving end of that marketing email. It doesn’t end up in cyberspace – there’s a living, breathing person at the end of the chain, and money in your pocket should not come at the cost of their emotional wellbeing. For while brands may see celebratory occasions such as Mother’s Day, and others like it, as a means to a quick sales boost, for others, it could be a painful date they may not want reminding about at all. It’s not OK to assume everyone has a mother – and in an era when social media feeds will be flooded with pictures and posts celebrating mothers on Sunday 31 March (and of course, they should be celebrated) a simple ‘opt out’ email could be just the olive branch some people need to know that their loss is not being overlooked in the search for sales. In a week when the world has seen great tragedy from New Zealand to Africa, compassion, in any form, must be welcomed – and mindful marketing is as good a place as any to start.